The Reliabilt 3301 window is the mid range vinyl window from Reliabilt that is nearly identical to the Atrium 8501 Series. The 3300 Series uses the same vinyl frame design as the Reliabilt 3200 Series, but has several nice upgrades, including a sloped sill, beveled mainframe, air latch and vents. The Reliabilt 3301 window replacement costs should run $20 to $25 per square foot for the window itself. The 3301 series is comparable in cost and quality to Window World prices and Silverline 2900 series. The Reliabilt 3301 is not going to be a world beater in terms of its performance, but it will offer good enough numbers for d- it-yourselvers and budget conscious shoppers. Consumers can expect Reliabilt 3301 windows to deliver a .34 U-value and .12 air infiltration - something in this range. As to Energy Star compliance, you will need to speak with your contractor to make sure the window qualifies. A glass upgrade may be required. 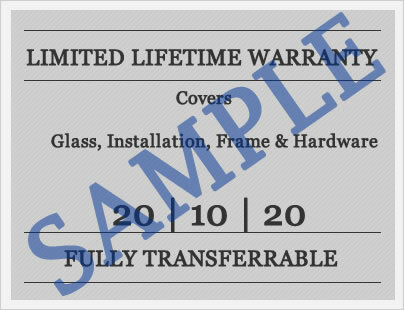 The Reliabilt 3301 window warranty includes a lifetime limited warranty that covers the mainframe and sash. 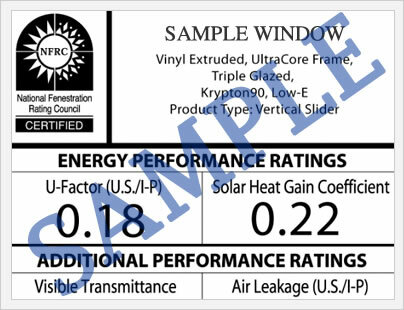 The 3301, to the best of our knowledge, does not come with the 25 year glass breakage that is available on the slightly higher end Reliabilt 3500 window. This warranty should be transferrable to 1 subsequent owner, but please note that the next owner warranty period is just 10 years from original date of purchase. Compared to other vinyl window warranties in the industry, this one is pretty weak. Of course, at this price point, consumers can't expect too much in terms of the warranty provisions. As with all warranties, we urge you to read it in its entirety to learn about the exclusions and limitations that apply. Do you have Reliabilt 3301 windows reviews that you would like to offer to the online community? Post your reviews here and help others just like you who may be searching for additional information on this vinyl replacement window. If you have questions on your project, price bids, the Reliabilt 3301 window, or Reliabilt windows in general, we can help answer them here. Please include your email address if you'd like for us to get back to you directly. Otherwise, we will post your questions in this page within 10 to 12 days from the time we receive them.